• The African Aviation Tribune •: ► MOZAMBIQUE: LAM likely to restart Maputo - Harare from October 2012. ► MOZAMBIQUE: LAM likely to restart Maputo - Harare from October 2012. 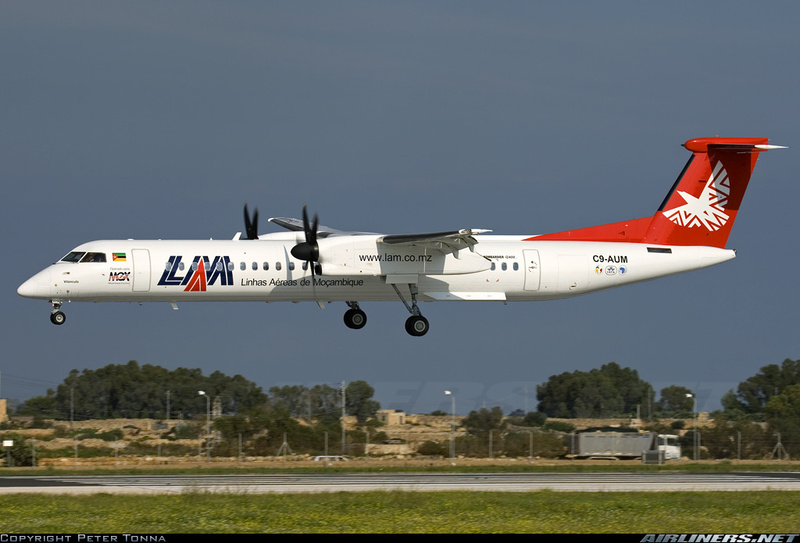 Linhas Aéreas de Moçambique, better known as LAM Mozambique Airlines (TM), is to tentatively re-establish twice weekly flights on Wednesday and Sunday to Harare from Maputo via Beira using its DHC-8-400, with effect from 27 October 2012, though the reports are unconfirmed as yet. The airline last served Harare in the early 2000s, but then dropped the service due to the downturn in the Zimbabwean economy.